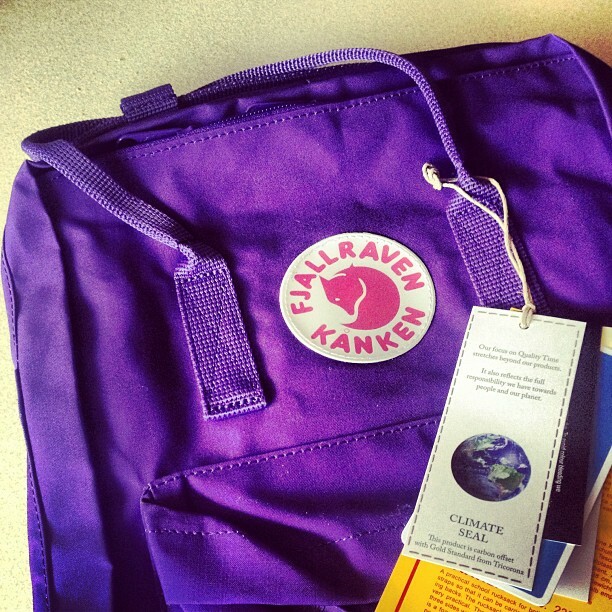 Say hello to the new love of my life, my brand spanking new deliciously purple Kanken. I'd been lusting after one of these little beauties for a while, after seeing posts from numerous bloggers, but it was the lovely Bee who finally pushed me into taking the plunge when she posted that there was a cheeky little 15% discount on all Kankens at the moment. And, just between you and me, it's still valid! GO! BUY! LOVE! I've been staying at my parents' house for the last ten days or so, looking after their dogs while they gallivant around America. Again. Whilst it's nice to take some time away from home and relax in leafy Cheshire, there is one slight issue. I can't so much as look at a piece of food without this little monster plopping herself down in far-too-close proximity and lstaring at me with her beady little puppydog eyes. 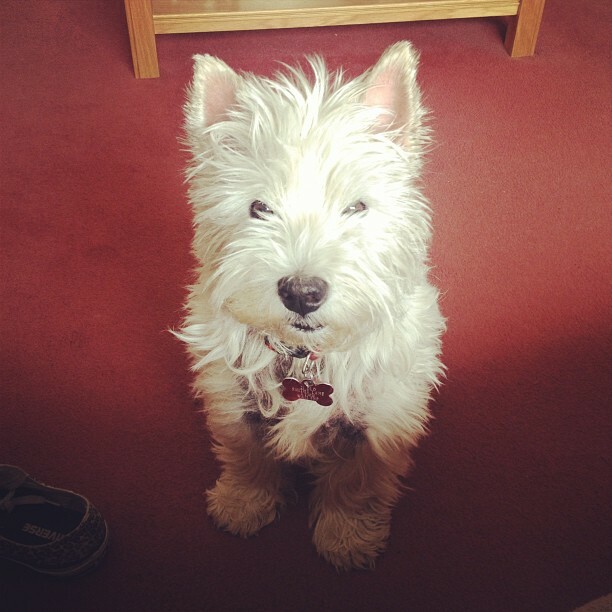 She's a tiny tyrant. Neon jumper. 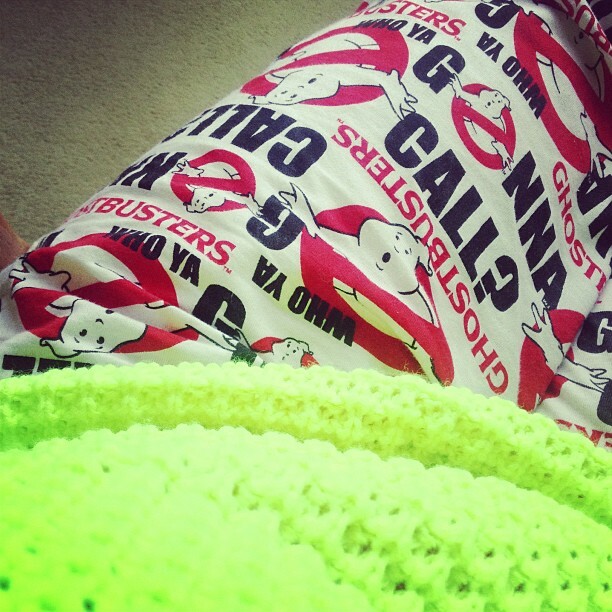 Ghostbusters lounge pants. Comfort at its finest. Yes, I just said lounge pants. Let's deal with it and move on. 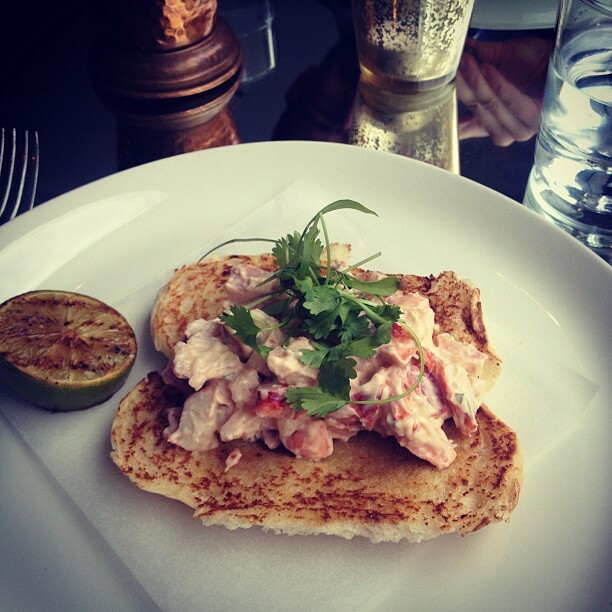 This cheeky little lobster roll at Neighbourhood made for an extremely decadent Wednesday lunchtime treat. Lobster: Guaranteed to brighten up even the toughest of work days. Add in a cheeky portion of chips and you've got yourself a whole heap of joy. And now for my giant face! 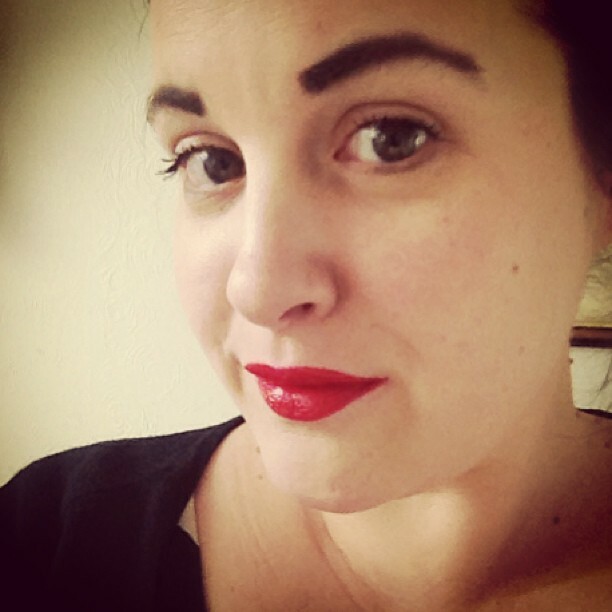 As a card-carrying member of the We Hate Lipstick brigade, I feel I must confess my sins: I bought Rimmel Apocalips in Big Bang and I FLIPPIN' love it. Whilst I will always (always) fear stained teeth and a stained face (I'm a face toucher), I think I can just about cope with it for this little wonder product.